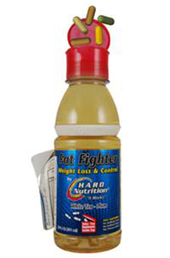 Fat Fighter by Hard Nutrition is a drink that claims it can help suppress your appetite and reduce sugar cravings to help you loss weight. In addition it is herbs formulated which claims it will increase your metabolism and give you energy. Another claim is it includes digestive enzymes to help break food for easier digestion. With your help we can reach more people and let them know about Hard Nutrition Fat Burner whether this product works or not.